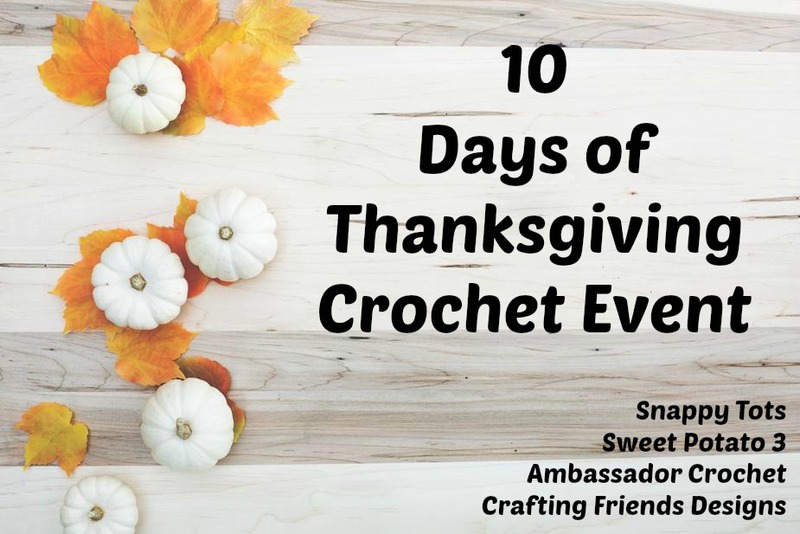 Can you believe we've made it through all 10 days of our Thanksgiving crochet event? Honestly, I have so many things to be thankful for, I could keep going and going with this event. 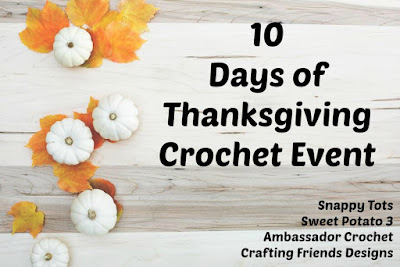 I've really enjoyed working with Snappy Tots, Ambassador Crochet and Sweet Potato 3 Patterns and learning a little more about them. It has been a lot of fun chatting with each of you and learning about the things you are thankful for too! Today we get to focus on our favorite things. I've been asked which of my patterns is my favorite and I sincerely love so many of them that I couldn't narrow it down to just 1 (or even 2). I enjoy them all for different reasons and it was hard to decide which pattern to share with you today. As a reminder, each pattern shown in this post will be available for just $1 for 48 hours. You will need to check each pattern out individually in order for the code to work properly. 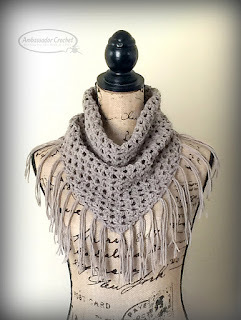 Simply click on the photo below to be taken to that pattern listing on Ravelry. 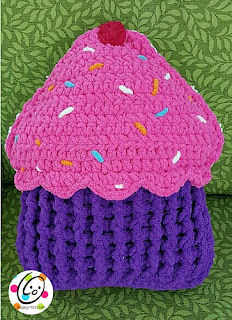 Add the pattern to your cart and click on "use coupon code," enter code 10THANKS and select "apply", verify that your total for that pattern is just $1 prior to checking out. Refunds are not given so please verify your total before completing the check out process. One of my favorite things in life is being a mom. While I've had my fair share of struggles, I wouldn't trade it for the world! I absolutely love the snuggle time and learning their personalities. Watching them grow is bitter sweet. You long for the days when you'll no longer have to purchase diapers but those days come and you realize your baby isn't a baby any more. Then you blink and they're graduating from High School and moving out on their own. Another phase in life will come before you know it and being a grandma is the best thing in the world (so I've been told by EVERY grandma). Another favorite thing of mine is afghans. 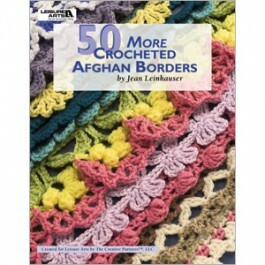 If you've followed my blog or Facebook page, you'll know that I'm obsessed with afghans. 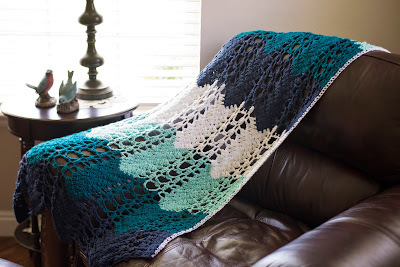 I have always enjoyed making afghans for others. The joy on their face when they see their gift for the first time is worth every minute spent making it. It warms my heart to know they appreciate all the work that goes into them. With these 2 things in mind, I chose the Serenity Infant Set for my offer today. 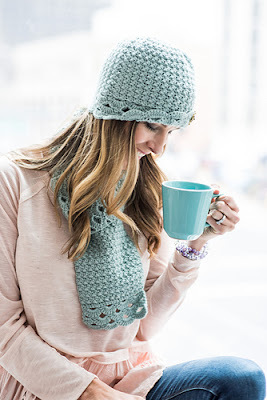 And our final crochet pattern in this event is the beautiful Vanessa's Vintage Cloche & Scarf set from Sweet Potato 3 Patterns. This was her favorite pattern set from this past year. 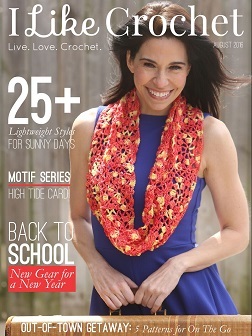 She loves the calming and cooling colors while the design is stylish and wraps you in warmth. We are so thankful to all of you who support us and interact with us. You are amazing and we appreciate your friendships and kindness and just the fact that you are you! 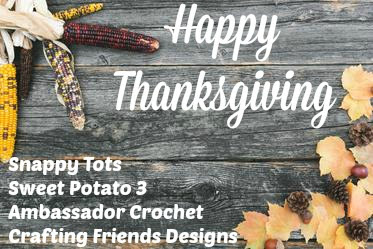 We wish each of you a wonderful Thanksgiving week full of love and comfort and lots and lots of crochet time!